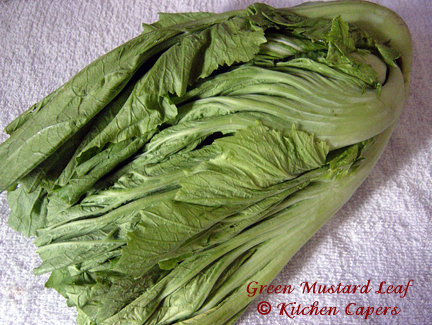 how does the raw mustard look like? is this what some old people call Tua Chai? This is how it looks like. I don't know the chinese name for it. In cantonese , this vege is known as 'kai choy'. It tastes very nice when cooked with leftover meats. dried chillis and asam java.